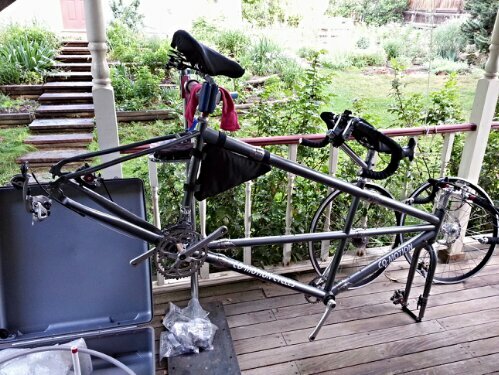 I’m happy to report our tandem reassembly did not end like the tale of Humpty Dumpty. 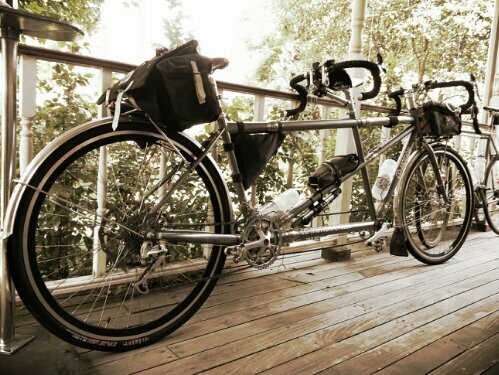 It took some time, but our tandem arrived safely in Boulder, Colorado, and is now a big bike again. 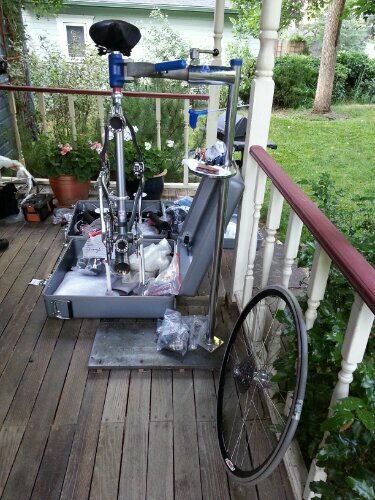 It helped that we are staying with cycling friends who have a spacious back porch to spread out the coupler cases and tandem bits. 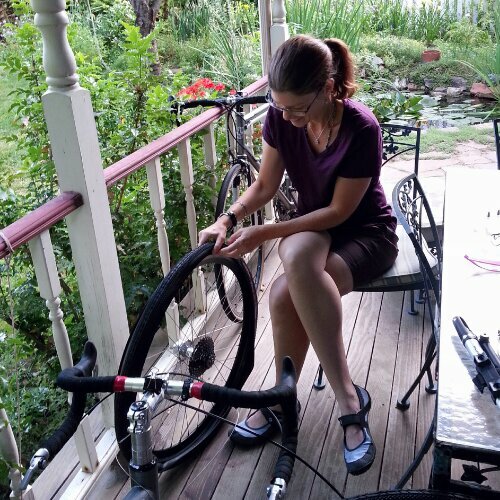 They also loaned us a workstand and full size tire pump, which also facilitated the rebuild process. 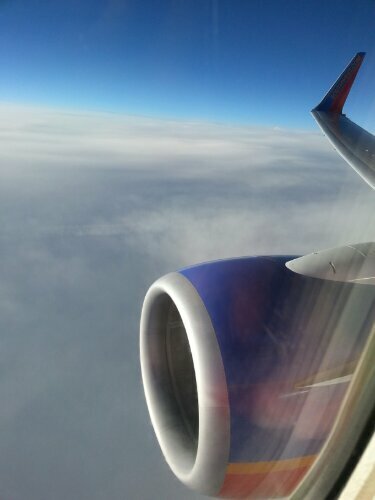 The following sequence of photos give a sense of what it’s like to put the Co-Motion Java together. Boxed up and on the bus. Always wear your helmet, even (especially?) on the bus. 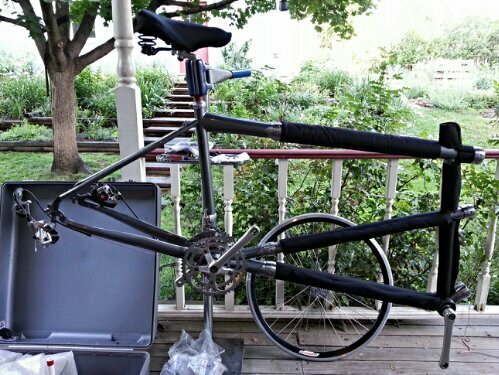 Add tubes and tires, and proceed to inflate. 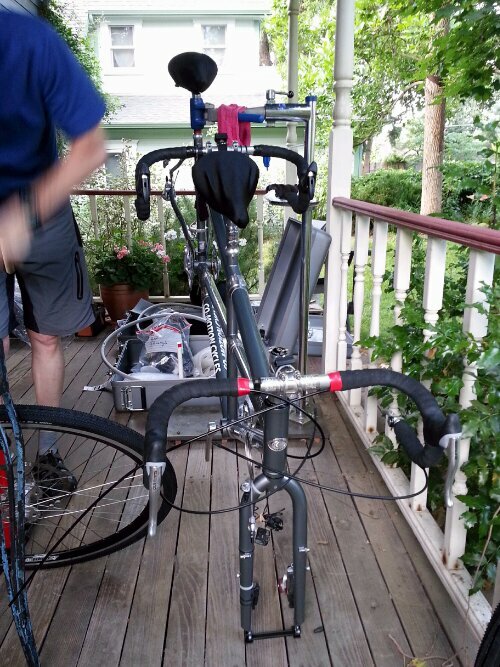 Looking good: time for a shakedown ride. 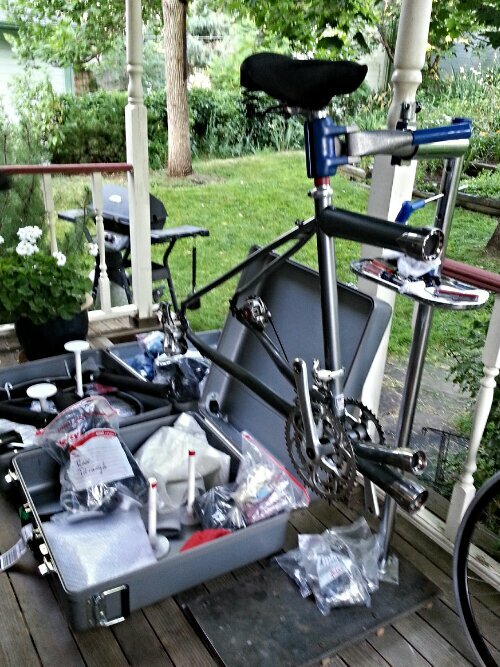 Glad the reassembly went well. 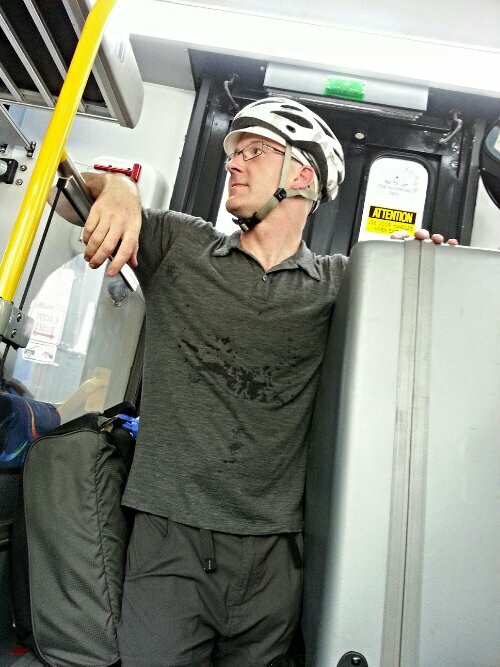 But I can’t resist asking — why is Ed wearing his helmet on the bus? I wasn’t sure either! He rode Bikeshare to meet me so I think he might have forgotten to take it off. Silly bike rider! I noticed you dismount tires from the wheels. I’m sure that helps packing the wheels into the cases, but isn’t it a bit of a bother? It is not a big deal. Also I am pretty sure the cases would not close with the tires actually on the wheels. Helmet on head = one less thing to carry!